I just got back from taking my sewing machine to the doctor -again. That will be twice since I got it just a year ago. The store has promised (?!) that it will be fixed this time and if not we will discuss further options. I will give them another chance to get it working properly and if they don't, I will be demanding either my money back or a credit (more likely what will happen) towards another machine that will NOT have the name Bernina attached to it in any way. I know that will offend some of you who are happy with your Bernina's but I had to admit they leave a bad taste as far as I'm concerned. With some 'executive' changes by moi, of course! - Karen Ruane has announced sign ups for her latest online class and you can find details HERE. - If you're offended by the human form, perhaps you won't find THESE as fun as I did! - HERE you can find a really cool garden decoration that you might like to create. I know I'd love these in MY garden if I had one! - THIS is a really handy size chart for those of you who knit socks. - Maybe you'd like to make some of THESE for Easter? Today your quote is from Barack Obama..."If you're walking down the right path and you're willing to keep walking, eventually you'll make progress"
The travails of a Bernina machine. Everyone I speak to says "get a Bernina"....don't think I will now, besides they are very expensive. How frustrating to have so many problems with a machine. I hope you get sorted very soon. Besides I want to see your lovely barn in all it's glory. =)I like the look of your new barn. Love those garden drop lights flowing from the tap. I can see a few of those pretties down here. Happy stitching lovely Mary Anne. After owning a Singer for MANY years, I bought a Viking and could not me more happy with it. But of course I think you probably do far more difficult things when you sew. Hope your dealer makes it right for you. I'd be telling Bernina how unhappy you are too!! Send model and serial number information. I once bought a lemon dishwasher. After complaining directly to the company, the VP contacted me and made me very happy. Love those knitted bodies. Such a creative artist. I think your barn piecing skills are really growing. I inbiggened your photo so I could see the piecing. The fabrics you chose are perfect. I'm excited to see what you do with the barn. I've always had Singers and I've never had any problems with them. I love those figures. They are amazing. Uh oh...sorry to hear about your sewing machine. I truly hope they can fix it for good this time. 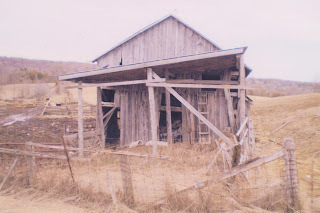 Your barn project looks like fun and I can't wait to see the finished product. Pity about the barn being on hold. You've been so patient with the Bernina and the place you bought it from. I hope this time some lasting solution will occur. Good links today. Love the women and though they are all favourites, I like the shower water. Very clever. The new barn is wonderful and I'm longing to see your version. Argh, what a pain! Very frustrating! Hope they don't take long to fix it. Sometimes I love my mailman! !